An alternator works with your battery to charge your vehicle’s electrical systems. An alternator that’s going bad can affect your car in many ways. There are several signs you need to watch for that may indicate your alternator is bad. It Still Runs states that dimming headlights is one of the first signs that your alternator is starting to malfunction. If you notice that as you increase or decrease the speed of your engine that your headlights will grow brighter and dimmer, this is a red flag. An alternator that is in good working condition will maintain bright headlights no matter what speed you are traveling. 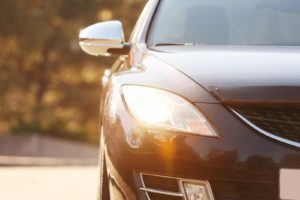 Besides flickering, your headlights may also begin to weaken or grow dim. Lights that are dim across the dashboard are also indications of a problem. Both flickering and dimming are strong indications that your alternator is no longer capable of generating adequate power. 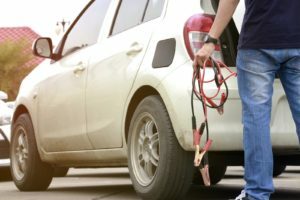 According to Nationwide, there are a few different ways to find out if you’ve got a dead battery or an alternator gone bad. Without starting the car, you can check the battery gauge on the dashboard. If it’s still sending out a strong charge, the battery is likely not the problem. It’s important to note that once an alternator goes bad the electrical devices will attempt to draw power from the battery, which in turn could cause the battery to die more quickly. An alternator has a lot of moving parts that spin when it’s working correctly. If one of these parts starts to work ineffectively or breaks off, you may hear some unusual sounds. If you’re hearing a grinding sound in your car, this could indicate that the alternator is going bad. The grinding sound may be caused by a worn-out bearing. Your car can also make a whining sound when the voltage regulator is sending signals to the alternator to charge more than is necessary. If you hear any type of whining or grinding sound that’s a good indication that your alternator needs to be checked. 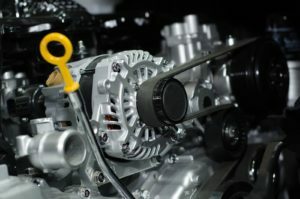 The alternator could be bad if your car won’t start or it’s turning over several times before finally starting. 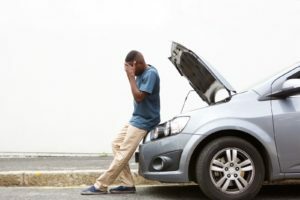 Of course a weak or dying battery could be the problem, but if you’ve already eliminated this possibility it’s likely your alternator isn’t working. The Chicago Tribune reports that if the alternator has failed, a warning light will normally come on. Most vehicles have a specific light that is battery shaped that will come on to signal if there is an issue. Some may even say ALT. Alternators often have outputs between 13 and 15 volts. If it’s not working correctly the voltage can go below or above these levels, which will signal the warning light. In the beginning stages of a problem this light may come on and off sporadically. Since the alternator is the primary source of electrical power in your car, electrical failures are signs that it is going bad. Electric failures could present themselves in a variety of ways. Your power windows could operate more slowly. Other items that could be affected include power locks, windshield wipers and heated seats. While these are all signs that your alternator is going bad, to know for sure you’ll need to have it tested. There are home tests that can be conducted but to know for sure what problems are occurring and how to fix them effectively you should have your car tested by a trained mechanic. From my experience over the years, when an Alternator goes, it usually just goes fast. You will find your battery is not charging. Many time it will just go and you will see the needle on the dashboard will just drop and show it not charging anymore. Always check the belt also, if it is bad or loose it can stop charging to. This is surely alternator problem. You simply need to replace your alternator and save further damages of your car through affecting battery. 1) Unusual binning sounds + burning smells + drying coolants … because of faulty alternator—consequently it collapses battery —- and hence the steering getting hard to turn or move — accordingly vehicle fails to drive. My alternator went dead on my 2003 Honda Accord without a warning the other day. I smelled a strange smell but didn’t think anything of it, thinking it was the outside smell. Stopped for gas, got back on the highway and my radio started going in and out, then my airbag light came on, my ABS light, Brake light,etc. Then the control panel shut down, my headlights started flickering and my car just shut down completely while driving. I turned on my hazard lights and they started to flicker and dim completely. Such a scary experience because I was on a country road, sitting in the pitch black. But I replaced my alternator and my weak battery with my dad and she’s working like a charm! You might have a short somewhere. Check to see what the last work you did to your vehicle then go from there. I drive a 2003 Toyota Corolla 160i GLS. took the car to the car wash and had its engine washed. afterwards the electric windows are not opening, wipers don’t work, radio doesn’t play, speedometer doesn’t read. basically everything is of inside and has a unstable Rev. did you figure it out? going through that now. Hello, we recommend to possibly consult with a professional as this is difficult to diagnose without being there to test the battery/alternator. Two days before, the fan for the heater went. I was driving along. I noticed that the car didn’t have as much pickup as usual. Then all of the indicators started to go a bit wild and acted like wind shield wipers. On and off, pause and then again. I pulled over to the side of the road and decided that we had better get out of the vehicle (despite the fact that I had an eighty five year old in the car). It was a good thing that we got out as the fan had burned itself out (maybe days earlier). We replaced the alternator and then still had some problems with the battery.